Gardening has been considered to be one of the most therapeutic rewards for North Americans. Gardening stimulates all of the senses, giving great satisfaction and pleasure. Hydroponics is the growing of plants without the use of soil. A variety of hydroponic gardening techniques exist and just about any plant can be grown with hydroponics. Hydroponic gardening is considered to be quite easy and many teachers use this method of gardening with their students when working on science projects. There are a variety of benefits associated with hydroponic gardening. When plants are grown using hydroponics, the roots do not need to search for required nutrients. The nutrient solution is provided directly to them, which results in plant growth, which is more abundant. Incorporating hydroponics into an outdoor garden can help add interest and intrigue. The natural conditions available outdoors in the summer make it a perfect time to experiment with the various types of hydroponic cultivation. 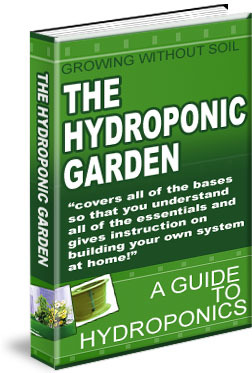 Annual flowers, fruit, herbs, and vegetables do exceptionally well with hydroponics. With hydroponics, important growing factors such as light, temperature, and humidity can be controlled. Since there is no soil, there is less maintenance involved with hydroponics. There is no need for weeding and the worry of pests or soil borne diseases is drastically reduced. Hydroponics is always a soil less culture, but not all soil less cultures are considered to be hydroponics. Many of these cultures do not use the nutrient solutions, which are required for hydroponics. There are two main types of hydroponics, which are solution culture and medium culture. Solution culture uses a nutrient solution but does not use a solid growing medium for the roots. The medium culture has a solid growing medium for the roots such as gravel, sand or a perlite culture. Hydroponic plants are grown in a number of ways, each supplying nutrient solution to the plants one way or another. Hydroponics can be used to grow plants anywhere, even in your own backyard. Using hydroponics can grow anything from garden crops to flowers. Hydroponic gardening is considered to be a clean and highly effective method for growing plants. There is less mess and less maintenance. Hydroponic gardening helps to eliminate the need for weeding and helps to cut down on diseases and pests. This form of gardening is also easily adapted to indoor environments, which means it can be used throughout the year to grow a gardener’s favorite plants. The greatest advantage to hydroponics is the overall outcome of the plants, which will be of better quality and are much healthier. Gardeners can give nature a helping hand while enjoying the therapeutic benefits of their garden. Gardeners will be able to watch the spectacular improvements that growing hydroponically can bring to their garden. 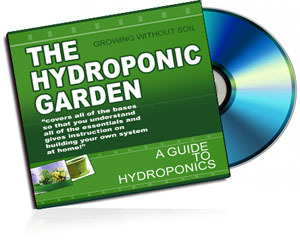 Hydroponics has always been an ecologically sound gardening choice. It uses much less water than conventional gardening and does not erode the soil or add toxins to the environment. Soluble nutrient formulas are re-circulated and used by the plants’ roots, which helps eliminate environmental waste. Plants tend to be healthier in a hydroponic system than those grown in soil, which makes them more pest resistant. Biological control agents are used as preventative measures. Harmful herbicides are simply not required because there are no weeds in a hydroponic garden. As many gardeners today are choosing to grow organically, organic crop cultivation in hydroponics has become very popular. Organic gardening is the cultivation of plants without the use of synthetic chemicals or pesticides. Gardeners are willing to invest in the extras required by organic gardening because it ensures that no harmful pesticides or fungicides will be used. There are many organic nutrients and additives designed specifically for use in hydroponic gardens.